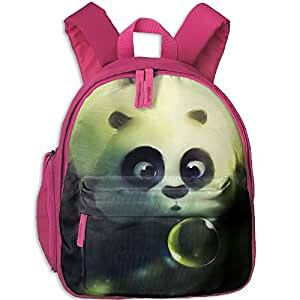 High Quality Oxford Fabric Cute Pattern Children Backpack. Kids Can Carry All Of Necessities With This Backpack. Durable Double Zipper Closure; Adjustable Comfortable Shoulder Straps; A Front Pocket & Side Pocket; Firmly Sewed Handle Gives Great Convenience Of Using. Perfect For School, Hiking, Camping, Travel, Sports Or Casual Daily Use. Measurement:12.5 Inch Height X 10.5 Inch Width X 4 Inch Depth. Great Gift For Kids On Halloween, Christmas, Birthday, School Day. Measurement: 12.5 Inch Height X 10.5 Inch Width X 4 Inch Depth.